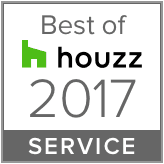 Professionals know that wired speakers clearly outperform equivalent wireless speakers. This speaker cable is of premium standard - for those that are after the highest quality sound in home cinema setups. It is a heavy 14AWG gauge pure hi-fi oxygen free copper (OFC). It will not compromise the audio of the majority of home cinema systems, except those of the largest size. 14AWG is ideal for supporting speakers at long distances. Its bright orange fire retardant PVC outer jacket protects it during installation, is fully fire rated for complete safety, and is alerts electricians to keep their power cables away. Pure OFC Copper - This cable has two (2) 99.9% oxygen-free copper 14AWG conductors, 1 coated red and 1 coated black. Each conductor has 105 copper strands. The kind of quality you get from this cable assures you that you can leave it in your wall and expect the best performance on your speakers that you could ever have, as opposed to the inferior performance you can get from some cheaper cables that are only copper coated strands. 14AWG for Premium performance - 16AWG is regarded as suitable for most domestic home theatre setups with no detectable effect on audio over 15 metre distances to a typical 8 ohm speaker. 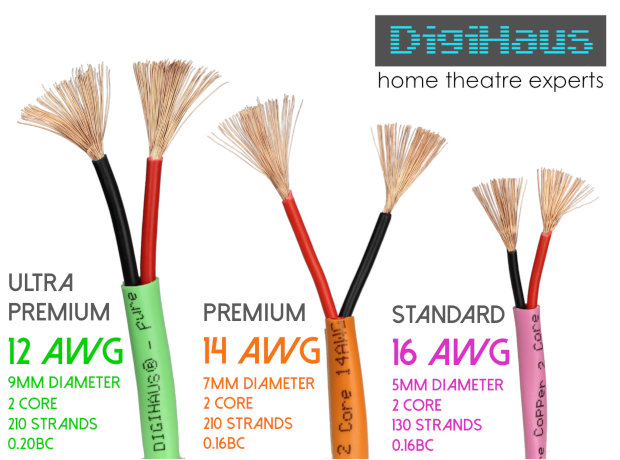 The thicker 14 AWG and 12AWG cable is recommended by Digihaus® for lower impedance speakers and longer distances. It will ensure your audio quality is not compromised by the speaker cable. See more information on recommended maximum speaker cable lengths by gauge here.